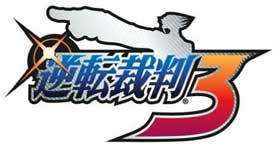 The Gay Gamer: Phoenix Wright 3 getting ready for trial? I feel funny writing about this one, considering I've yet to play any of the Phoenix Wright games (U.S. or Japanese versions). The game's got quite a fan base, though, and the critics seem to like it too, so who am I ignore news about a game I've never played?